HomeLifestyleAutomotiveIs This Really the End of Diesel? Is This Really the End of Diesel? The Euro 6 entered into force in September 2014 and hit the European automotive market – particularly diesel-oriented – stronger than most. According to the new regulations, the level of nitrogen oxides (NOx) pollutants and fine particulate matter should be significantly reduced, which requires all new vehicles sold in EU member states to follow most stringent rules on tailpipe emission. It is worth mentioning that diesel particulate filters and other after-treatment systems have been required in the U.S. since 2008. The final goal of Euro 6 is to make diesel cars as clean as gasoline ones. If a new vehicle doesn’t comply with the emission limits, it won’t be registered and sold. Many countries as France saw in Euro 6 an opportunity to cut down on old diesel vehicles. Around 70% of cars on French roads use diesel and most of them don’t meet the current diesel emission restrictions. In order to limit city access for the dirtiest cars, the government will launch in the beginning of this year a car identification system that will rank vehicles by the amount of pollution they emit. Also, the government will raise the TICPE excise tax on diesel by 2 euro cents per litre which won’t make diesel the “cheaper option”. By doing so the state hopes to push citizens towards more ecological choices. How Euro 6 Could Affect Diesel Drivers? In a time of economic crisis or stagnation, convincing people to buy a new car is a tough task. To install an exhaust after-treatment technology on an old diesel engine also sounds too complicated and expensive. Therefore, people continue driving old diesel cars. Moreover, the small gas engines, that are drastically improving, are highly competing with diesel in the cities. Small, diesel powered vehicles begin to disappear, replaced by compact, turbocharged gasoline engines. For this reason, even if people finally decide to change their city cars, they would most probably buy a gas engine powered one. What Do the Automakers Say? 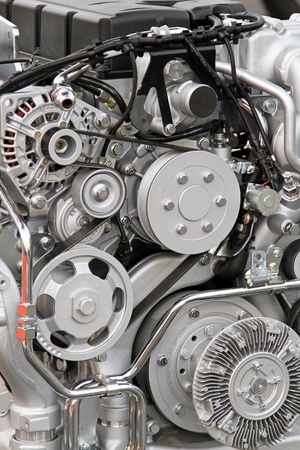 Significant automotive technology suppliers are not ready to give up on diesel and its undoubted advantages compared to gas. Key players as Bosh, Delphi, Continental and others have invested and are still investing a lot in the development of better diesel engines. The diesel common rail direct injection system has been continuously improved and any possible common rail problems were reduced to the minimum for even better vehicle performance and long engine life. The problem is that many politicians and important social influencers don’t make any difference between old and new diesel technologies. The truth is that the diesel engine has gone a long way and it doesn’t have anything in common with its dark, smoky predecessor. NOx raw emissions of modern diesel engines are 96% lower than those of a typical diesel from 1990. All leading companies have improved their diesel technologies in order to meet the Euro 6 requirements and all say that there won’t be any significant impact on the final price. BOSCH for example is introducing a sophisticated purification Denoxtronic Urea Dosing system. Renault has also launched an improved selective catalytic reduction technology which ensures a high level of performance, reliability and optimized consumption. And even if many automotive technology manufacturers and suppliers have stopped producing diesel engines for small cars, almost none of them want to deny the benefits of a high-quality diesel engine in a large, luxurious car for long road trips. Why Diesel Powered Cars Can Be Still Good? Wouldn’t it be too pity to kill diesel so soon after the invention of something as great as the diesel direct injection and turbocharging? And especially after so much pressure on automotive suppliers from governments and society to produce lower NOx-emission diesel engines for passenger vehicles, truck and busses. Diesel technology is constantly being improved through catalytic converters, advanced filters and other exhaust after-treatment technologies that cut down or destroy toxic particulates. Shouldn’t we just believe in the improvement of diesel and its undoubted advantages as fuel efficiency, remarkable performance, power, long life, endurance and rigidity? For some diesel continues to be a dirty word, mainly because of the increased exhaust of particulates and nitrogen oxides. But the big progress that was achieved in the development of new diesel technologies, equipped with special filters and mechanism for less emissions cannot be ignored. 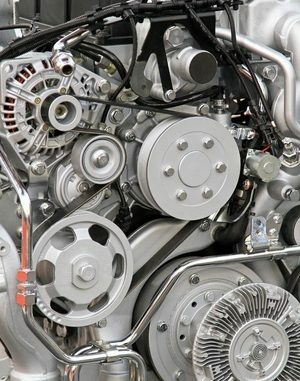 Important car equipment suppliers and their Research & Development offices continue developing and improving the diesel direct injection in terms of performance, harmful gas exhaust and efficiency and some big advances might come in the near future. There might be an additional cost, passed on to the consumer and there might be more expenses to maintain all the filters, but for 30 minutes-or-more-trips, on roads or highways, diesel vehicles show more efficiency and resistance, remain less consuming than gas ones, and the pleasure of driving a diesel-powered car is hard to deny.